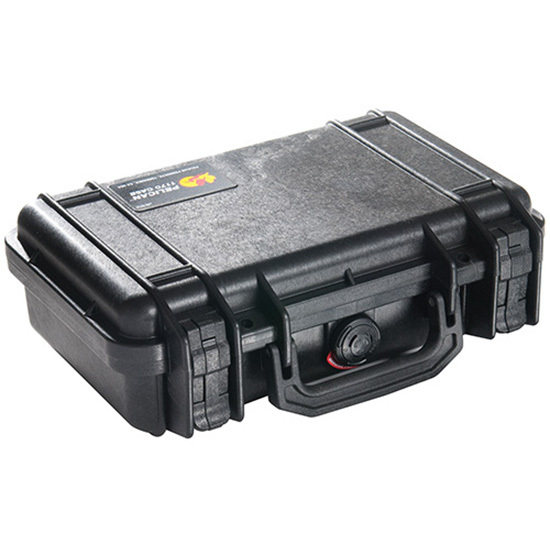 Pelican 1170 Protector Small Case Polypropylene Black 10.54 x 6.04 in. x 3.16 in. (Exterior) in. Pelicans Protector Small Case features easy open double throw latches open cell core with solid wall design strong and is Oring sealed. This model also features an automatic pressure equalization valve stainless steel hardware and Pick N Pluck with convoluted lid foam. Its exterior dimensions are 10.54 x 6.04" x 3.16" 26.8 x 15.3 x 8 cm."